There are many phrases heard within the four walls of the church. Some make us smile, while others fail to bring intended comfort. For example, we seldom if ever hear the phrase, “God is in control” until something bad has taken place. In such a situation, this particular phrase is meant to comfort those affected by what may have happened. However, in reality, temporary comfort may come, but will never last. Believing God is the one who chooses what does and does not happen will eventually lead to bitterness and a lack of trust on our part toward God. 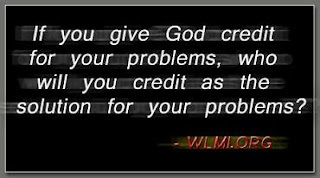 Remember, we cannot look to God as being the source of our problems and also look to Him as being the solution. There are other phrases such as, “God is good all the time and all the time God is good!” as well as “The best is yet to come”. Many of these phrases sound great and some of the ideas behind these phrases are indeed found in scripture. However, there are many ideas floating around in the church that are spoken, but have no literal basis found in the written Word of God. Some of these phrases will open the door to the devil and take our focus off God without our realizing what is taking place. One of the phrases in question is found below. “You cannot have a testimony without a test”. There are a number of variations to the statement written above, but I am sure you get the point. You may have even made this statement based on what has taken place in your own life or in the lives of those around you. However, this particular statement is not found in scripture. More importantly, if we believe we must have a test in order to have a testimony, what reason do we have to resist any problem(s) we may face? After all, if God is in control, He must have allowed or caused everything we face in life. Why should we resist any of our problems? In doing so, we may be resisting God or at the very least, trying to stop the will of God short of its intended purpose. Of course, we have already looked at the fact that God is not in control of everything that does and does not take place upon the earth. 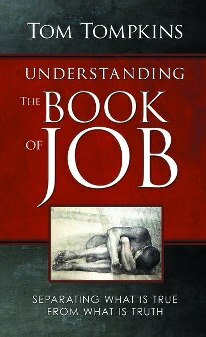 We have also examined the fact that our problems do not come to aid us in the growth of our faith. I laugh at the fact that someone would ever look to the word, testimony, and come up with the phrase, “You cannot have a testimony without a test”, because the first four letters of the word testimony form the word test. Sadly, this has indeed happened and due to the large following of those who use this line of thinking, many believe anything that comes out of their mouth as being truth. Later in this book, we will look at the most important qualifications we should use to determine whom we will and will not receive from. God is too good to leave us in the dark at any time. In fact, He has given us the Holy Spirit to reveal to us all things (John 14:26). The Holy Spirit will also bring all things to our remembrance, which will aid us in numerous situations throughout life. Another important aspect of the Holy Spirit is seen in John 16:13. Notice the last few words of John 16:13: and he will shew you things to come. One of the jobs of the Holy Spirit is to show (shew) us things to come. This includes problems we may face. God shows us what is going to happen in order that we may avoid the issue all together. In some cases, we cannot control what is taking place due to the choices being made by others, but we can seek God as to how we should handle what is going to happen ahead of time. In others words, nothing should ever take us by surprise. While I realize this is not always the case, it should be, based upon God’s faithfulness to us. "I laugh at the fact that someone would ever look to the word, testimony, and come up with the phrase, “You cannot have a testimony without a test”, because the first four letters of the word testimony form the word test." On the other hand, there are situations we can find ourselves moving toward, but by following the instruction of God as He speaks to us via the Holy Spirit, we can avoid such things. This reminds me of one of many examples I have from the times when I missed it concerning God’s warning. Don’t misunderstand what I am saying. God did not condemn me when I did not heed the warnings of the Holy Spirit, but because He does not control everything that happens on the earth and the fact that we all have a free will, if we do not heed His warnings, we may find ourselves in less than desirables situations. One night as I was driving home, I approached an intersection at which I could turn in order to drive home. In doing so, I would have taken the long way home. On this particular night, I thought about taking the turn, but decided to keep driving in order to drive to the next area at which I could turn in order to take the short way home. I had found myself thinking I should take the long way home, but decided not to do so. As it turned out, I ended up being forced over toward the curb by a driver who failed to signal when he changed lanes. The end result was two blown tires on my car. It was not the end of the world, but cost money and time as well as created frustration that did not have to come about. I realize that some may say, “Oh, it could have been worse! God kept you safe.” While this notion could be true, the ultimate answer is the fact that God tried to keep me from dealing with the problem in the first place. Had I recognized God’s warning and taken the long way home, the incident would have never taken place at all. In all reality, I simply did not recognize God’s voice. Many will say, “I don’t always hear God’s voice”. Please allow me to show you how easy it is to hear and recognize God’s voice. How many times have you ever run into a situation in which you said, “I knew something was telling me”? You may finish the sentence however you wish. Some may say, “I knew something was telling me not to do that and I’m glad I listened”. On the other hand, some, such as myself in the situation I mentio0ned earlier, might say, “I knew something was telling me not to drive in that direction. I wish I had listened”. That something is God speaking to us via the voice of the Holy Spirit. There is never a time when we face problems of any sort in which God did not place a roadblock in our path in an effort to keep us out of trouble. God truly does not want His children to suffer! A test may bring about a great testimony; however, I would rather my testimony be one of the fact that I avoided the test (problem) in the first place. Whether they are behind the pulpit, on Christian radio, or television, we must understand that we cannot simply take to heart a message due to the fact that it sounds good. When all is said and done, what results are being produced from the messages we are taking in? For a period of time, we may feel supercharged, but after this period of time comes to a close, we find ourselves frustrated and needing to be recharged. This simply should not be the case at any time. It often seems we will hear a message in our time of need that speaks directly to us, but how do we know these messages are truly from and of God? There are two ingredients that must factor into this equation. The first is patience and the second is using patience as we go behind those whom we may be learning from in order to make sure what they are teaching is accurate to the truths of God’s Word. The devil has most certainly sown tares (false teachers and troublemakers) among the wheat (the church). There are many who are among us with messages that sound great, but as I have already mentioned, a great sounding message is not always from or of God. We will often find ourselves seeking something to sooth our wounds, but such things are commonly nothing more than a temporary fix. I like to use a band-aid as an illustration in order to make this point. A band-aid is nothing more than a temporary fix for a cut or scrape. It covers the damaged area, but in time, the adhesive of the band-aid will wear away, causing the band-aid to fall off, re-exposing the wound being covered. In other words, the problem was covered, but not fully dealt with. This is what takes place when we hear those great sounding messages, but in time, we find ourselves back to being aggravated, frustrated, and even depressed. Each of these things is not from or of God. So, why do we often find ourselves in this repeating pattern? It is due to the fact that we are not being told truth or gaining a proper understanding of God and His true nature. "There are many who are among us with messages that sound great, but as I have already mentioned, a great sounding message is not always from or of God." Keep in mind, the devil will never poison something we are not going to buy into. He will use a portion of truth, but take it to an extreme to keep us from being able to take advantage of that truth, thus causing us to live from struggle to struggle. The worst part is that these things are not always obvious. They will overtake us slowly until the day arrives when we realize how unpleasant our life has become. We then begin to seek answers, but are often told, “God is in control, He is sovereign”. Have you ever taken the time to research this popular Christian buzzword? Do you know its true meaning? Yes, many church and ministry leaders use the word sovereign, but that does not mean they are properly using this word to represent God. Before we move on, I have a challenge for you. If you own a concordance, pick it up and look up the word, sovereign. Take some time to complete this task before moving on. Are you wondering why you couldn’t find this commonly used word? It may have been a shock to you to discover the fact that this popular word is not found in the concordance. Let’s dig a little deeper concerning this popular Christian buzzword. The word “sovereign” is a popular and commonly used word in the church today. Just as is the case with the phrase “God is in control”, we seldom, if ever, hear the word “sovereign” until something bad has happened. Have you ever looked up this popular “Christian buzzword” in the dictionary to discover its true meaning? The majority of Christians who use this word have not done so. This is why I have provided the dictionary.com definition below. Sovereign - One that exercises authority in a limited sphere. 2. An acknowledged leader. 3. independent. 4. Excellent. One of the leading reasons in the popularity of the common “Sovereignty of God” belief system is that it excuses us from most if not all responsibility when things don't go the “right” way. You may ask, where did the word sovereign gain its popularity? Has it always been a word used since the foundations of the world? Believe it or not, the answer is, no. Let's take a further look into the misuse of this word. The example seen in Genesis 15:2 illustrates this point quite well. An interesting point to consider is that none of the verses in which we see “Lord God” or “Sovereign Lord” have anthing to do with being “in control”! Let's face it, it is always much easier to blame others when things don't work out as opposed to just saying, “I made a mistake”. The Bible is very clear about the fact that our own decisions determine how things will go for us. Proverbs 19:3 is the perfect example to use in this matter. However, I believe the Message Translation of the Bible puts it far better in this case. As we have already discussed, there are some denominations who call themselves Christians that actually believe God controls every single event that takes place: PERIOD! If this is so, then it means God's will always happens no matter what the case may be. However, the Bible reveals the truth concerning what God's will truly is when we read 2 Peter 3:9. Obviously, there are simply too many people not accepting the truth of the Gospel for this to be accomplished. Nevertheless, the Bible says it is God's will for nobody to spend eternity in Hell. Therefore, we can conclude that the will of God does not automatically come to pass. Jesus Himself said many more would perish than those who would come to repentance (Matthew 7:13-14). The Scriptures clearly declare it to be God's will for every single person who walks the Earth to become born-again. Remember, Jesus did not die for our sins only (believers) but for the sins of the whole world according to 1 John 2:2. If we study the Bible in the area of healing, it is simple to see it is always God's will to heal. In addition, it is always God's will for everyone to be born-again, but as we already know, it is not happening. God's will does not automatically happen contrary to the decisions of man. Many people have prayed and believed for healing, but have not always seen the manifestation of healing take place. Unfortunately, it is very easy to begin to wonder why our prayers are not being answered. If we believe God is the one who controls who is healed and who is not, we instantly begin to form an unbiblical view and doctrine concerning God and His plan for healing. Nevertheless, it is convenient and makes for a great excuse when needed! Acts 10:38 tells us that Jesus went about doing “good” and “healing all because God was with Him”. Jesus never told a single person that it was not His Father's will for them to be healed. Based on this information, we can draw a very simple, yet profound conclusion. Hebrews 13:8 tells us that Jesus Christ is the same yesterday, today, and forever. In John 5:19 Jesus said that He only did what He saw his Father (God) doing. If we link John 5:19, Hebrews 13:8, and Acts 10:38 together, it is not difficult to see that it is always God's will to heal. So why do we not see every person healed? I cannot necessarily answer that question for every individual case, but I can say one thing for sure. 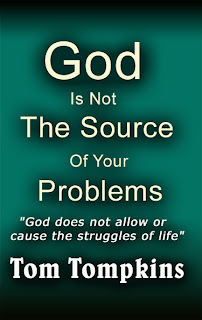 The problem is never on God's end! The bottom line is that we cannot draw a conclusion when someone dies and believe it was just God's plan. Remember, according to Romans 5:12, death did not enter into the world based upon the will of God, but based upon the decisions of man. A person may experience temporary relief when told it was God’s will for a tragedy to take place, but it may just throw gasoline on the fire and turn that dear one against God. In either case, this is not only an answer that fails to bring any sort of satisfaction, but it is also not a Biblically based answer. Just consider the words of Matthew 7:13-14 in this matter. The majority will always take the easy road. It is much easier to lay blame to God (He allowed or caused my problems) as opposed to asking God to show us what we can do differently. Remember, this does not need to involve any sort of condemnation. God independently (sovereignly) made the decision to put man in control of the Earth (Genesis 1:26, 28). If we allow what we feel, hear, touch, taste, smell, and see to determine if we believe God has done His part or not, we are in for a long and miserable ride. That's just the way it is. The wrong view of the sovereignty of God will produce passivity and that is exactly what Satan wants from us! 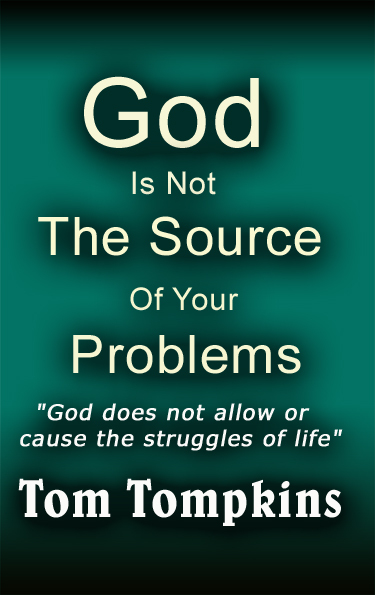 If he can convince us that things are not working out because God doesn't want them to, then we have no reason to do anything but just learn to live with the problem(s). If we want to know a person's belief system we can ask them one simple question; “Does Satan have to go to God to get permission for anything he does?” Most people will answer “yes” and cite the book of Job or Paul’s thorn in the flesh in doing so. However, the answer is “No!”. The most dangerous part of the wrong view of the sovereignty of God is how it flings the door open to Satan in our lives. He can steal from us without our knowing what is going on. If we truly believe something is from or of God, we would be in outright rebellion against Him to resist whatever might come our way. This a primary reason why it is so dangerous to believe that God controls everything. A common belief in the church is one that proclaims God to send problem in order to guide and direct our steps. However, as you are about to see, such a notion is completely untrue.